Playbooks is being used by the Sales department to keep track of cadence and make it easier to keep track of accounts that come into our pipeline. It is an amazing tool that makes it easy to go through a full cadence with all accounts. With Playbooks, you can see exactly what accounts you have to call or email on each day. It is truly a game changer. The only thing I wish it could do is to make it so I don't have to go back to the dashboard and select my emails to continue getting my email tasks done. Keeps track of what part of the cadence you are at with each account. Lists every account that you have to email or call that day. 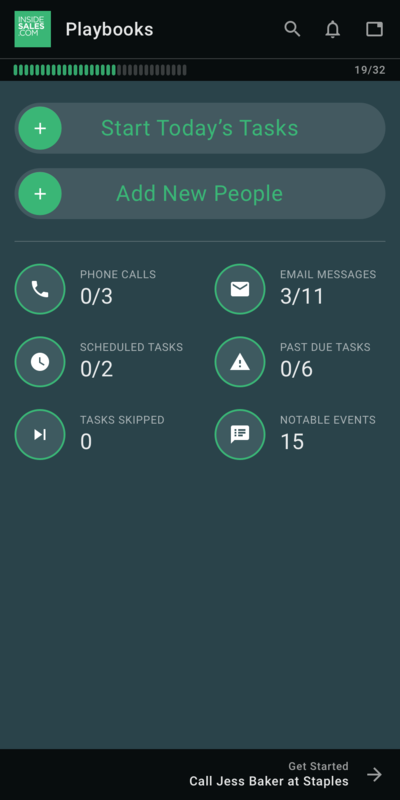 Is able to schedule calls and put them on your calendar. Would love it if we could use it to keep track of accounts where we have already reached a decision maker. Make it so that when there is a call scheduled it will make it more visible, sometimes the notifications are easy to miss. It is well suited for any sales department, to try to get ahold of the person you are trying to get ahold of. Playbooks has increased the number of decision makers that I can get ahold of on a day to day basis. This tool would probably be less suited for people that do not have calls to make outside of the company. Playbooks is being used in our sales organization. Before we used the Powerdialer and that worked fine, but Playbooks has taken our cadence & prospecting to the next level. Before we had reps who would call accounts one time and not reach out again until a few weeks had passed. With Playbooks, it creates the next steps to direct the reps more on when and how to reach out to merchants to have a better chance of opening up a conversation. All in all, Playbooks is a great tool and is easy to integrate. Playbooks does a great job of letting reps know when phone numbers are not a working number. Playbooks does a great job being able to be tailored to your specific organization or business. Playbooks does a great job of having a very friendly user experience. Playbooks could do better at being able to send emails while still being on the phone with the merchant. Playbooks could work better if it would link to Yesware. It would be nice to ad hoc emails and schedule them just as you would with calls. Playbooks is great for sales organizations that need help with efficiency and cadence. It is well suited for heavy calling and high emails on accounts. Playbooks also does a great job at taking the guesswork out of accounts for my reps. The only time I would think that Playbooks would be less appropriate would be if a company already has a similar system in place. Currently, the sales reps that I manage are using Predictive Playbooks for their daily prospecting. It is helping to address issues associated with heightened admin work - sales reps are now able to focus on their prospects and using their time efficiently, rather than spending too much time attempting to organize their process with each account. The ability to filter specific plays or pieces of information so that it's more user-friendly for the overall organization. Essentially, more room to customize the organization of accounts and how you're working them. The initial onboarding process of accounts results in high levels of tasks - the ability to break these down in an easier way to help with time management would be helpful. Playbooks is extremely helpful when it comes to knowing where you are with each account - it eliminates the extra "thought" behind each prospect as it organizes it for you. When attempting to be a bit more strategic though, beyond simply when to reach out to an account (ex: wanting to organize accounts in a certain way), there's less of a customized ability here, making reps look elsewhere for support on this. It's being rolled out to the Sales department. The business problems it addresses are the ability to save time researching who you need to call or email. Playbooks does it all for you. It plans out my prospecting list and I can personally follow up with leads that are moving forward in the sales process. It's an efficiency tool. Ability to send pre-recorded voicemails. Ability to send emails at a high rate and have the track-ability of effectiveness. Really easy, intuitive user experience. It only took a day or two to get used to. In the optional notes section a drop down with commonly used notes would be helpful. It's bugged out a few times where I've had to restart it. Can't send mass personalized emails at the moment. Well suited for sales team looking to be more efficient/effective. In my opinion, it is less appropriate for a small team. With large teams, it ensures everyone is hitting their activity metrics. Playbooks is a good tool to use for fresh accounts. It can allow you to prioritize accounts that you recently received and understand what days and times you need to contact accounts. It is less appropriate if you have a lot of accounts as you need to manually skip steps if you do not complete them all. We are using PlayBooks to help organize cadence within our prospecting accounts. These are accounts where we have not been in contact with the decision maker, so we are using this tool to get in contact with them. It helps to organize cadence and make sure that new accounts do not fall through the cracks if you were unable to reach someone on the first attempt. It is fast moving and helps me to make more dials and activity through the day, ultimately equaling to more sales. If you have an account with more than one phone number and are wanting to call them all, it can be a bit of a hassle as you have to add the activity in before moving to make another call. The reporting can get messy as it is not a simple step. You are unable to send emails while on the phone, you have to wait until you hang up to compose an email. There is no undo button on emails. Since adding this tool, I have sent a few emails with "unknown" in the name fields and have not had a quick way to recall them. This is a great tool for taking on new accounts and helping to get in contact with the decision maker. Prior to this, I was working on a manual cadence which was taking up a lot of time and if not properly edited, could result in things getting missed. This helps to put less time between touches on an account and does it quickly. Groupon has recently implemented Playbooks into our day to day sales process as a part our Inside Sales teams in Phoenix & Chicago. Currently we use it for multiple things. We use it as a form of contact to communicate with our accounts, to build our cadence, stay organized, and overall, to help maintain organization within our job. We manage a book of over 300+ accounts and with a program like this we are able to stay on top of them by taking the right steps into building a relationship with our merchants. Playbooks has allowed to us to create a 10 day cadence where we have ongoing communication with the attempt of featuring them on our site. I believe implementing this program into our day to day job can only result in generating successful results. Having a pre-set a 10 day cadence where we know what is expected on each of those days throughout the prospecting period. Whether that be a call, email, or even both. Being able to insert our own personal templates into the email portion of it all to allows us to be more personable. Being able to import accounts easily. Being able to go back into editing a task that has been done, such as an email, and being able to bump that same thread could be helpful. Being aware of new accounts. Not having to insert a note each time we are skipping a step. Playbooks is still very new to us as a company but is something that has worked out really well for me personally. It helps me stay accountable to what tasks need to be performed. I believe Playbooks does a great job of having us remain organized and making that extra effort in helping us build up our accounts. At Groupon we are using Predictive Playbooks as a way to keep track of our accounts in the form of a cadence. It is being used by the entire Sales Department at Groupon. The reason for adopting this software was so that reps can keep track of all of their accounts and give ourselves the best chance possible at talking to Decision Makers and then closing. Reminding reps each day what accounts they need to call. Showing reps exactly where they are in their cadence with accounts to make sure they are on their A game whenever they go into a call. Sets up the process for later steps such as Presenting and getting to know as much about a business as possible. I wish it had the ability to automatically link to the account we are working when we pull it up in Salesforce instead of having to click View. I wish that Playbooks could also help with our cadence for further processes such as the needs assessment and presentation. I wish we could create our own "Play" with what works best for us. I think that Playbooks is a great tool that was given to reps as a way to keep track of their accounts. I have been at Groupon for almost two years now, and while in my time here, I have seen many great reps lose track of where they are at with an account of an account may fall through the cracks. With Playbooks that will make our lives easier as we are now able to have a software that automatically does it for us. For the London office and the sales arm, InsideSales.com is used by our organisation to enable our team of prospectors. InsideSales improves productivity and increases the likelihood of engaging with a prospect which generates improved sales results. I believe the intention is, following the acquisition of StyleLabs, for Sitecore to set up an InsideSales team solely on the purpose of selling that, in a traditional and transnational B2B sense, whereby InsideSales will become the primary tool to drive business. Suited to high functioning sales teams who need to increase their outreach to drive business. Not so suited to account managers who might balk at the idea of automating messages to important clients. Its usage massively enables sales people to get their messaging out there as quickly and as diversely as possible, but is less important for targeted, personalised messages without going against its main USP. Less time to do the same process, it's a huge time saver. Very easy to see what is needed to be completed. It has a nice look. I've found that Playbooks is solving missing steps in my cadence as well and seamlessly sending emails off quickly. It has been a huge benefit! I now realize that I didn't send all the emails I should have or made all of the calls I should have. I think the main benefit of Playbooks is I can now work smarter and not harder. Groupon is using Playbooks to make our work quicker and more efficient. We needed a way to take the busy work out of our day-to-day so we could focus on the bigger picture of sales, and Playbooks is the key to that. Playbooks has changed our daily tasks for the better. Playbooks has helped me complete tasks more efficiently than before by scheduling them for me and reminding me of them quicker. Playbooks has made emailing faster by automatically filling in templates. Playbooks has eliminated having to have a ton of tabs of accounts open at once. I wish Playbooks saved the comments I made when dispositioning calls so I didn't have to always type "DM not in" or "left message w/ GK". I wish Playbooks opened our salesforce view a little quicker when going through accounts. I wish calling multiple numbers on one account was a little smoother. Playbooks is useful when you have an abundance of accounts to handle and need help following a cadence to attack them. If you don't like doing busy work like writing out full emails or setting timed tasks for yourself, Playbooks is great in helping take the guessing out of all of that and doing it for you. Playbooks may not make sense if you don't have large books of accounts, or if you do not follow a cadence/prefer to have a cadence preset for you. It is great for sales roles where organization is a need (all sales roles)! Easily provides a way to call and email businesses without overthinking the process. Pulls pertinent information from the Salesforce platform for ease of access. Saves email templates on the same interface. The use of this tool initially slows down the sales process but it improves with time. Alphabetical and numerical template organization is not currently available. Playbooks is a very useful tool for initial prospecting. InsideSales.com Predictive Playbooks: "Playbooks Review"
Playbooks is used in our Sales and Account Management departments in order to improve cadence, activity, and overall conversions. Playbooks was introduced to our sales team in order to eliminate the amount of steps it takes to create tasks and to improve the organization of reps (especially those who didn't have their own cadence to begin with). Playbooks has a clear and easy to use interface that is simple to learn and master in just a few days. 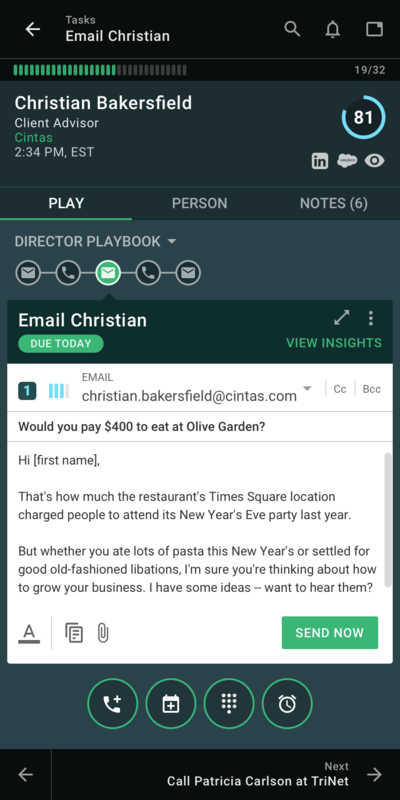 Playbooks makes it easier to complete tasks like follow-up call reminders, sending quick emails, etc. Playbooks also creates an easy to follow cadence for reps who need a clear and concise plan of action to attack certain accounts. Playbooks can be rather slow when loading, especially when transitioning from Salesforce page to Salesforce page. Customization could be better. It would be nice to be able to create our own cadence for specific accounts, or to sort by specific categories when viewing all my tasks for the day. We've had a few bugs being able to completely remove accounts from Playbooks despite them not qualifying to be in the tool at all. InsideSales.com Predictive Playbooks Review: "Get Playbooks!!!!" Playbooks is used by the Sales Teams here at Groupon. It helps with keeping up with all of our accounts and keeping a cadence! Being able to have more control over the accounts in the playbooks cadence. Having a play for after reaching the decision maker. I think it is an excellent tool for inside sales. Outside sales may not have use for it. InsideSales.com Predictive Playbooks Review: "Great Tool!" We are using Predictive Playbooks to prescribe a better sales cadence for reaching the DM to set an appointment or get a firm "NO". Historically, newly assigned accounts and ones that live in prospecting would fall through the cracks or not get the attention they deserved because reps did not know how to attack them. Reps would historically put a call on them and forget about them until they were about to lose the account or had not contacted them in a while because they were only focusing on accounts that were already moving forward. This should allow reps to cast a much wider net and pull more opportunity into their sales funnel. It provides a prescriptive cadence for newly assigned accounts and ones being prospected. It helps reps reach more DMs in a shorter period of time. It helps reps organize accounts they're prospecting. Allowing reps to perform multiple tasks at one ie email and call at the same time. More sortable functions to better organize and prioritize. Quicker load time between actions. Playbooks is a great tool that keeps reps organized on accounts they would historically not know how to attack. Reps no longer need to make a task for every step of the process which was previously cumbersome. InsideSales.com Predictive Playbooks Review: "A New Way to Work"
Playbooks is being used for Groupon's sales teams. It addresses the difficulty of keeping track of your contact cadence for each account in your book of business. Very helpful! Automatically uploads your Newly Assigned leads and places them in Step 1 of a 7 Step cadence. Schedules your next touch and funnels it into your routine automatically. 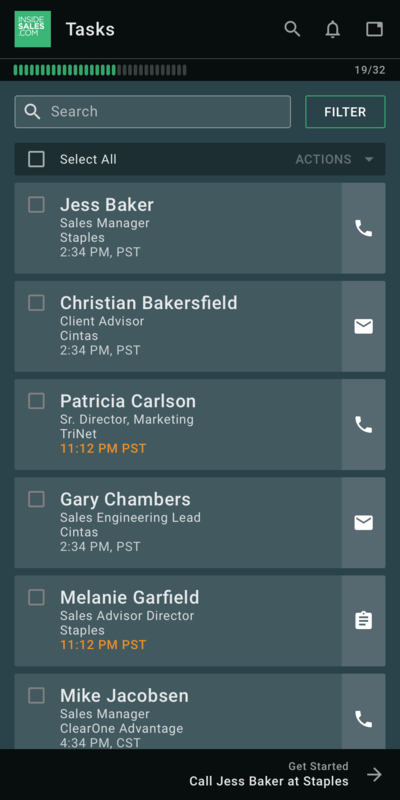 Increases your productivity by automatically prompting an email template of your choice following a phone call. I would like if I could customize the order that my cadence is set up. I prefer 3-4 calls before sending an email. It's difficult to sort my accounts manually. I prefer sorting using list views like Salesforce provides. If you have a large book of accounts, Playbooks really helps maintain a consistent cadence for all your accounts. It takes the guess work out of which account you need to reach out to and how you should do so, i.e. phone or email. InsideSales.com Predictive Playbooks Review: "Playbooks is great! Definitely the direction the sales field needs to be headed." We have just implemented it across all of our sales offices and we are utilizing it for outbound and inbound activity. It addresses tasks management, saves times, and allows me to also keep track of everything cleanly as it is easy to send notifications to my calendar. Awesome job at task management! Great job at organizational and calendar scheduling. Takes away the manual aspect of the day to day, makes my day much cleaner and efficient! The template aspect for emails is quite congested. When you type in the placeholder value and backspace, often times it erases too much of the message. It's awesome in regards to making outbound calls and sending out emails. It allows me to send invites to my calendar from within the application. I am also able to sync all contact information of prospects. It's less appropriate on the back end of the sales process. However, even then it is still efficient and I am able to make dials out of the dialer in Playbooks. InsideSales.com Predictive Playbooks Review: "Efficiency at its greatest"
Groupon uses Playbooks for outbound calls and emails for our accounts. It helps us make dials easier and get in touch with merchants quicker. It allows us to see exactly what stage each account is in making it super easy to stay on top of tasks. Playbooks also lets us know how many to-do tasks we have each day so we know how many people we should be contacting based off of what stage they are in. At our company, Playbooks makes our days easier and more organized. This wouldn't be the best fit for companies who don't constantly call people. InsideSales.com Predictive Playbooks Review: "Playbooks Biggest Fan"
Playbooks is being used as an everyday tool to help organize my prospecting accounts and as a dialer. It tracks which 'step' I am at with all of my accounts as well as helping me stay organized. It's being used throughout the sales department. It took the confusion and guessing game out of my day. I work more efficiently and am better at time management. I know exactly what I need to do throughout the day. It also helped me keep my accounts organized. Previously, when manually entering tasks, I would occasionally forget to. I would then forget about that account and a lot were slipping through the cracks. It's impossible for accounts to get lost now. Filter my accounts - I love the filter feature. Being able to sort by step, time zone, segmentation, etc. It makes it very easy to call similar accounts all in a row. One stop shop - I love that all of my prospecting accounts and their progress is all clear and concise. Aside from additional appointments I have, all my accounts are organized for me. Dialing - Dialing has been very seamless for me and I have not had any issues. Pausing accounts - I love that I am able to pause accounts. Very awesome feature for when I was on vacation/my merchants are. Syncing time - it sometimes takes a while for information I add into Salesforce to sync. Specifically emails, when I get a new email on the phone and want to email right away, it is annoying to have to wait. Adding an "add email" feature in the task itself would be nice. Emails - I wish we could 'favorite' certain templates, making them easier to pick out right away. I also wish we could unsend messages like Gmail. If I make a mistake it stinks I can't bring it back really quick. I almost wish it could sort all of my acounts, prospecting and accounts further in my pipeline. I think it works great for my prospecting accounts. Because I have so many, it is hard to be on top of all of them without letting anything slip by. I like that everything is organized in a clear way so that when I come in in the morning, I know exactly how many things I need to do. InsideSales.com Predictive Playbooks Review: "InsideSales.com Predictive Playbooks Integration"
InsideSales.com Predictive Playbooks is being integrated across the sales department slowly. The goal is to solve problems with cadence or account management and organization. InsideSales.com Predictive Playbooks is easy to navigate and sort through daily tasks. They can be sorted by step number in play, timezone, segmentation, etc. This saves time when going through daily tasks. 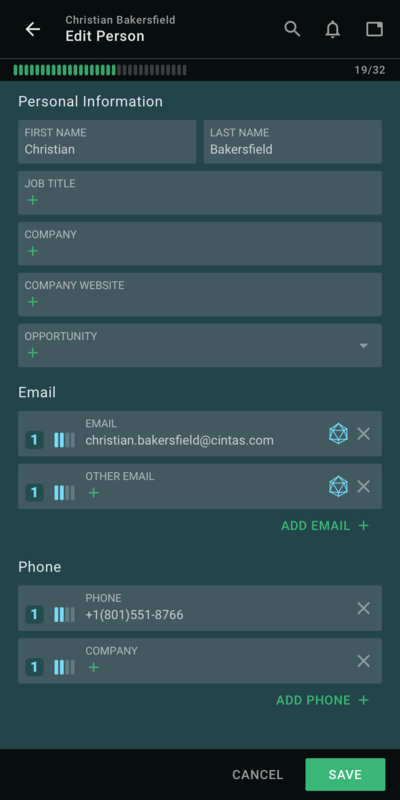 InsideSales.com Predictive Playbooks integrates with Gmail and our CRM - Salesforce to ensure that all emails and calls are accounted for and that there is no duplicate activity. 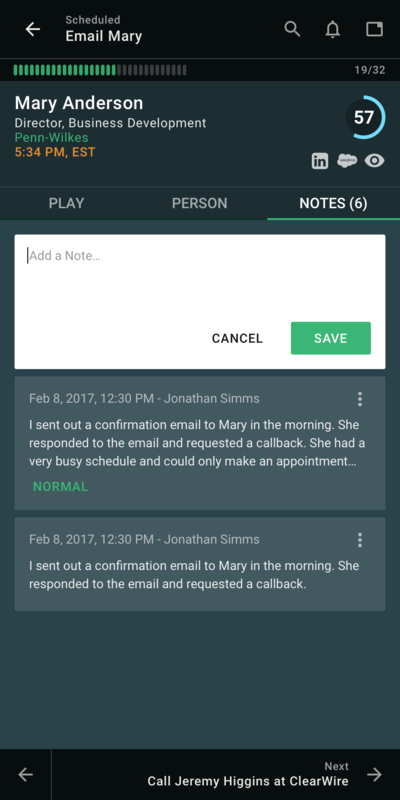 InsideSales.com Predictive Playbooks allows you to skip steps in a play or remove accounts from plays and schedule calls in plays so that you are able to customize your play by account. When InsideSales.com Predictive Playbooks was first integrated, there was a very tedious manual process for updated accounts on our CRM to Playbooks. It did not help with time management. A more seamless integration process would be helpful. We are unable to undo emails sent through InsideSales.com Predictive Playbooks. Loading accounts on our CRM take a while if loaded through InsideSales.com Predictive Playbooks. InsideSales.com Predictive Playbooks is well suited for organizing accounts that are in the "prospecting" stage. It's not too helpful for accounts that are further in the sales process. 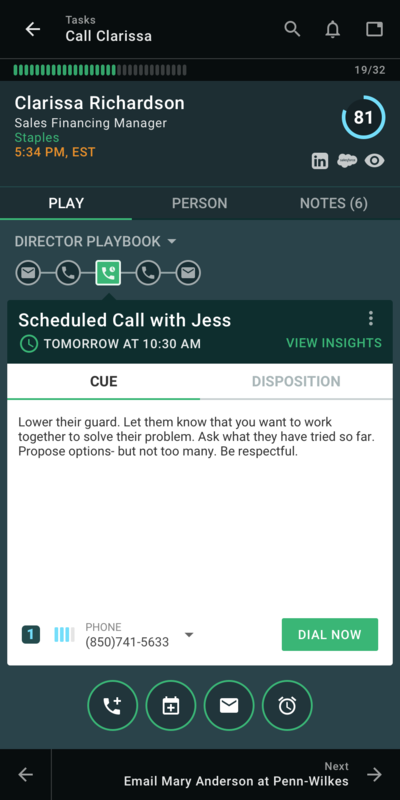 InsideSales.com Predictive Playbooks Review: "Work Smarter, Not Harder!" InsideSales is currently being implemented throughout our business development reps and inside sales reps. It helps manage our task cadence and the large amount of accounts that we have in our name. It truly makes us work "smarter, not harder." It makes my day run very smoothly and I know what I have to do every single day when I get to my desk. Playbooks helps manage my day. I know exactly how many calls I'm going to make and how many emails I have to send. Playbooks makes me more productive. I work mainly out of Playbooks so I only need a few tabs open on my browser. Working strictly through playbooks allows me to get things done very quickly. Playbooks has made my metrics go up. Following plays makes sure I touch each account enough to set more appointments and ultimately close more contracts. With email templates, I'd prefer to have a section where we can favorite things. There is a "frequently used" area but it doesn't seem to be very accurate as some templates I've never used are in there. Very suitable for sales organizations. It helps in being more organized and more efficient. It will aid in making sure reps are hitting their metrics and ultimately becoming more successful in an organization. InsideSales.com Predictive Playbooks Review: "Beginning of a great tool"
My team recently started using Playbooks to automate a cadence that we were already using with the accounts that we are currently contacting. There is one other team on our floor using it, but we have different sales processes, so we are somewhat testing it for teams like us. It has been extremely helpful to create a better flow throughout the day. I like that Playbooks sets up my day for me by having all of my prospecting work in one place. Playbooks has all of the account information in one place, so I can change phone numbers and email addresses simply. I like that Playbooks is easy to navigate through, so I can filter accounts based on time zone and step of the cadence. Playbooks is really simple but can sometimes restrict from staying in one step. So if I want to do everything on the last step of my cadence it is a little harder to navigate. Occasionally an account will re-upload or not upload to Playbooks because of a different mode of communication. For example, if someone is contacted via email, their account will stay in the cadence until I manually delete it. If I send multiple emails to the same person, the emails do not go into the same thread. This forces me to skip some emails and send them manually. I really like using the tool for my team's cadence, but sometimes it can be too controlling over my day. For example, sometimes I want to start with my oldest stuff first, but the tool kind of forces you to start at your new tasks. Even if you start by clicking into your oldest tasks, it will suggest going back to the beginning. InsideSales.com Predictive Playbooks: "Groupon Review"
It has been used by Groupon with my team first. We have implemented it help us with our 10 day play. Playbooks makes it a lot easier to make the play go smoothly. It allows for a lot more organization and in return it makes the whole play go over smoothly compared to before. It is well suited for the whole play in general. Being able to go through my day and do all of step 1 or all of step 3 and doing them together makes it easier. Being able to do all my calls for one step or all my emails makes my day go a lot smoother. InsideSales.com Predictive Playbooks Review: "How to get reps to follow a cadence without even trying..."
Predictive Playbooks is currently being rolled out to our sales org team by team. Our department is the first to fully implement it, and we have already seen improvements! It takes the guesswork out of our team's cadence, and makes sure that as managers we know that our reps have the tools to quickly and efficiently get in contact with a lead and sell. The call recordings are so easy to access and use and view, and as a manager this helps immensely in coaching our reps and ensuring that they are following protocols. The pre-recorded voicemails help my reps not get burnt out when very few of their contacts are answering the phone. I feel that it takes a lot of the repetitive nature out of that aspect. Gamifying the cadence process in getting in contact with a lead makes it so that our reps feel accomplished even if they just have made a "play". It creates little wins throughout the day, and bite sized goals. I feel that at this point, it isn't extremely useful for after getting in contact, which needs a bit more structure in our sales org as well. I would love to see more intuitive plays made for follow ups on contacted businesses. I would like more data and reporting on my end as a manager that is easy to view. There are still some kinks to be worked out, but I see quick action taken on a lot of the little things and that is good to see. In a sales org with high volume, Playbooks is extremely well suited. It ensures that reps are following a suggested cadence, and that there is less guesswork for them. It prevents things from falling through the cracks in a world where there are MANY cracks. I feel it would be less appropriate in a situation where reps were receiving a high volume of inbound situations and requests, especially in the case of an account management role. InsideSales.com Predictive Playbooks aims to help SDRs and AEs quickly build closeable pipeline, by helping salespeople get a hold of more of the right people. InsideSales.com uses their A.I.-platform called Neuralytics to target likely buyers combined with their cadence engine to help sales reps consistently engage all of their prospects in a personalized way. Just like Waze from Google helps drivers get to their destination quickly based on the data from other drivers, Neuralytics uses the collective knowledge of the Insidesales.com user base to help you build pipeline quickly. For example, Neuralytics can tell you which phone number or email address for a prospect is best, or the best time to call or email, based on the experience of others. Predictive Playbooks uses Neuralytics to gives sales reps an edge over their competition. The Cadence engine works for small or large teams, global teams, and international calls. The product also conveniently syncs all activity data back to your CRM. Since sales reps only spend 18% of their time in CRM, it also works outside your CRM ... wherever your reps work.